Palo Alto Networks recently identified a new campaign targeting the transportation sector in Europe with ties to the Dark Seoul and Operation Troy campaigns that took place in 2013. 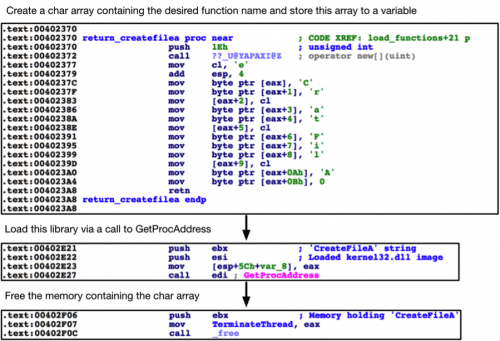 This new campaign used updated instances of the Tdrop malware family discovered in the Operation Troy campaign. For more information on the new campaign discovered by Unit 42, please refer to our recent blog post. 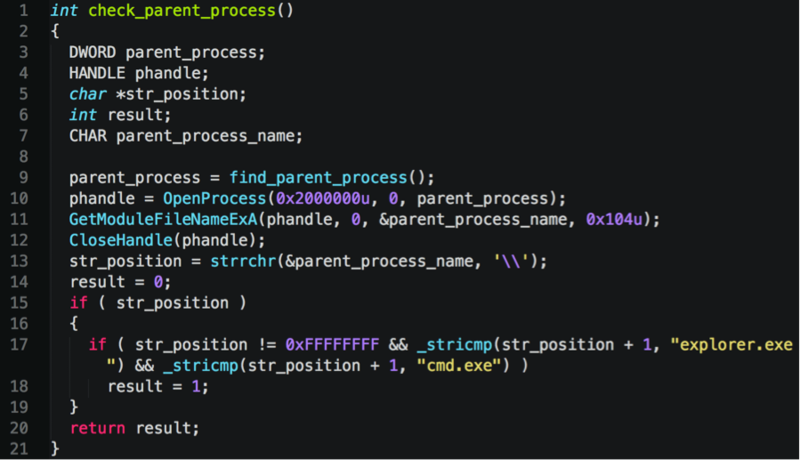 In this attack, attackers embedded the TDrop2 malware inside a legitimate video software package hosted on the software distributor’s website. By doing this, they were able to target organizations that relied on the distributor’s security camera solution and infect their systems with malware. They created a true Trojan horse, which sneaks into a network as a gift, but when opened, the attacker’s army leaps out. The malware used for the attempted infection purported to be a legitimate video player, providing viewing software for security camera solutions. The following two unique file names were involved in the attack. The difference between the files involves the specific video player that was dropped and executed during runtime. Each file would drop and execute the full or light version of the legitimate video player respective to the file name. Both the legitimate copy of the video player, as well as a malicious executable were bundled into a single executable. These files were added to the end of the Trojan executable, as seen below. When initially run, the malware checks to see if its parent process is either explorer.exe or cmd.exe. In the event the malware is not running in the context of either of these processes, it will exit. This check exists in a number of the subsequent processes/executables used by the TDrop2 malware variant. While the link above shows a file extension of an image, the transferred file is in fact a modified executable file. The downloaded file has the first two bytes of the PE file format replaced with the characters ‘DW’, instead of the usual ‘MZ’. After the download occurs, the malware immediately corrects the first two bytes with the ‘MZ’ characters prior to writing the file to disk. The downloaded file is dropped to the system32 folder. The malware selects a randomly chosen DLL from this directory. The base name of this DLL is used to write the downloaded file. As an example, in the event apcups.dll was selected, the malware would write the downloaded file to apcups.exe in the same folder. The downloader then proceeds to execute this downloaded file in a new process. As we’ve seen in previous samples, this executable file begins by checking the parent process for the presence of ‘cmd.exe’ or ‘explorer.exe’. It proceeds to randomly select an executable file in the system32 folder, and performs process hollowing against it. 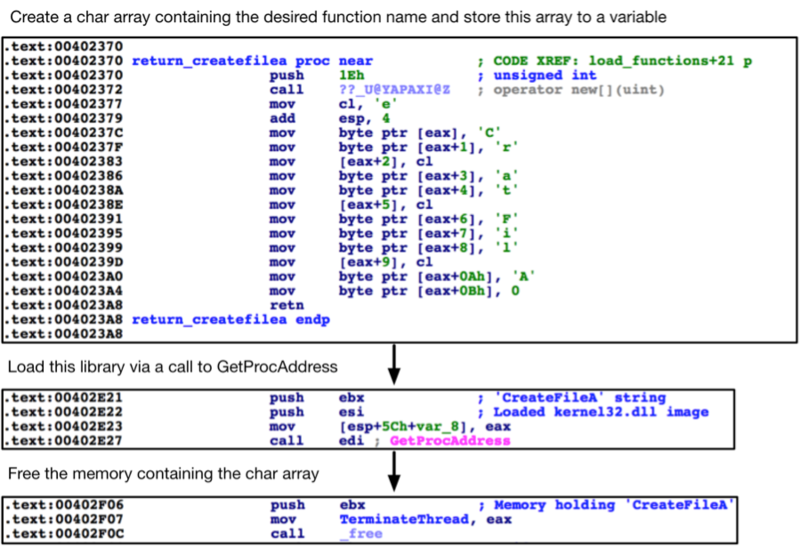 The injected executable contains the last stage of the TDrop2 malware variant. After dynamically loading functions and libraries, the malware iterates through the running processes and attempts to determine if the ‘V3lite.exe’ process is running. This process name is associated with the South Korean-based AhnLab security software provider. In the event this process is running, the malware will attempt to kill the process’ class window. The name of the registry key in the above instances is derived from the basename of the supplied argument. In the event the supplied argument was C:\malware.exe, the registry key would be named ‘malware’, and the path for this key would be ‘C:\malware.exe’. The persistence thread runs in a loop where the registry keys are set every 60 seconds, ensuring persistence even in the event an administrator manually deletes the registry keys. The final payload proceeds to enter its command and control loop. It initially performs a DNS check against microsoft.com to ensure it has Internet connectivity. After this check is performed, it enters an infinite loop, with a sleep interval set at a default of 30 minutes. The malware will periodically poll the C2 server and determine if any commands are received. The initial POST request contains a unique victim identifier that was previously generated. The optional response by the C2 server is both encoded and encrypted. The data is first encrypted using an unidentified algorithm. The two keys used for this encryption are generated using another unidentified algorithm. The following Python script can be used to generate the keys. A default salt of ‘FFFFFFFF’ is used. Once again, using the previous example, the malware will first ensure that the command was not previously parsed/executed. In the event it is new, it will proceed to execute the various reconnaissance commands found on line #2. The results of these commands are uploaded to the C2 server. 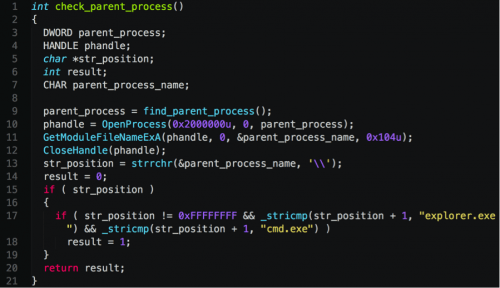 The TDrop2 malware family that was witnessed in a recent attack against a European transportation company provided a minimal set of commands to the attackers. It was most likely used to establish a foothold, perform reconnaissance and deploy further malware into the victim’s network. While the malware lacked a large set of capabilities, it had a wealth of interesting and advanced features, such as the custom encryption/encoding witnessed in the network traffic, the use of process hollowing against a randomly selected Microsoft Windows binary, and the downloading component that attempted to bypass network security measures by modifying the executable header. We created the AutoFocus tag TDrop2 to identify samples of this new variant and added known C2 domains and hash values to the Threat Prevention product set. At this time, WildFire is able to correctly identify the samples associated with this campaign as malicious.